hd00:13Professional cosmetologist makes facial LPG vacuum massage to a beautiful female patient. Rejuvenation procedure, skincare. Taking care of yourself. hd00:19Contour plastic face. 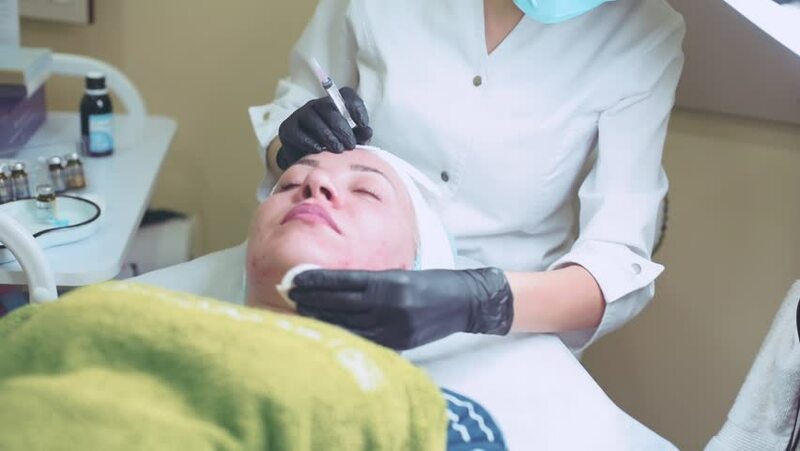 Rejuvenating facial injections procedure for tightening and smoothing wrinkles on the face skin of a beautiful young woman in a cosmetology clinic. Slow motion. 4k00:11Portrait of Beautician Making Rejuvenation Beauty No-Needle Mesotherapy.Hardware Cosmetology. Pretty Woman Getting Anti-Aging Procedure. Mesoporation Cosmetological Procedure.